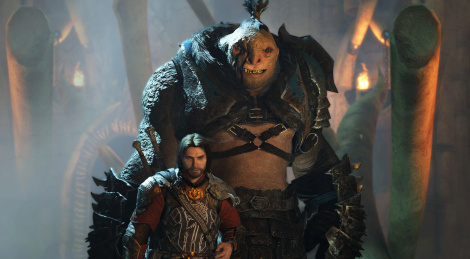 We have just played the very beginning of Middle-earth: Shadow of War on PC and we have a couple of videos to share with you now. The game seems to be pretty demanding as our GTX 1080 cannot hold a steady 60 fps in 1440p when maxed out. Simply lowering the shadows to high instead of ultra seems to do the trick in such a resolution though. The first video was recorded in 1080p with the game fully maxed out as the game was also running in 1080p. The second video was recorded in 1080p while the game's resolution was pushed to 1440p with high shadows only. Take a look and let us know what you think. We'll also have some PS4 Pro footage sometime tomorrow. Are the cutscenes pre-rendered videos at 30FPS? It looks like it. Nice! Looks good, thanks for the videos. I am looking forward to the PC build looks solid, can't wait to play it my self tomorrow(aka tonight late night)! Huh. This looks like a late buy for me. Was pleasantly surprised by the first game, but this doesn't look much better graphically, if not in some places actually worse, the soundtrack seems like a step back from the first game also, and it seems more of a 1.5 version than a real sequel. General consensus seems to be that the story is even more nonsensical than the first, too. The action gameplay though, much like the first, is probably quite satisfying. No doubt not a bad game, but not a 60$ buy at launch title. Yeah they are and I'm still baffled as to why they went with that direction because not only does it make it weird to see your character not wear the same armor you have currently equipped but it also makes the game so much more heavy because of the additional video files for the installation ( Game size is 97 GB on PC !!!) . I really don't see anything they couldn't have done in realtime ingame in those cutscenes so I'm really left scratching my head in disbelief here. And compression is really bad, at least it shows on an OLED TV. It's easier and saves time for the dev. The consumer be damned. Does it though? I would have guessed that pre-rendering cutscenes would take more time & work. Did you guys download the: 4K Cinematic Pack [and] High Resolution Texture Pack DLCs for the PC? Cool, just double checking for at first I did not know they had the DLCs. Think you may have the wrong game title in your page title here. 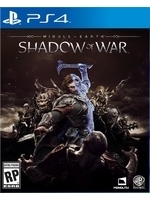 Shadow of Mordor was the first game. I am really liking the game. Taking a bit of getting used to with a different way of progressing skills, weapons, etc. Also the interface is a bit different in those screens. I do find it humbling starting out from scratch. I had completed Shadows of Mordor and leveled up my character so that most battles became a breeze. This new one starts you out at square one, and humbling but needed to make the game more challenging. Maybe my favorite game on Xbox One so far for 2017. I was heavily impressed with the graphics of the Star Wars Battlefront 2 game beta, as compared to this game. SWBF2 looks superb. SOW is just a minor upgrade over the first game. SWBF2 is phenomenal looking, with its use of the Frostbite engine. Will be interesting to see what I play most of in the coming months with SWBF2 having a true SP campaign now. Thumbs Up to the developers of Shadows of War. Wow, you really like those loot boxes i take it. Do you have forza 7 too by any chance? Lol.